An exhibition by Grace Lin of her John Bland Scholarship trip. Photographs, sketches, paintings and videos. 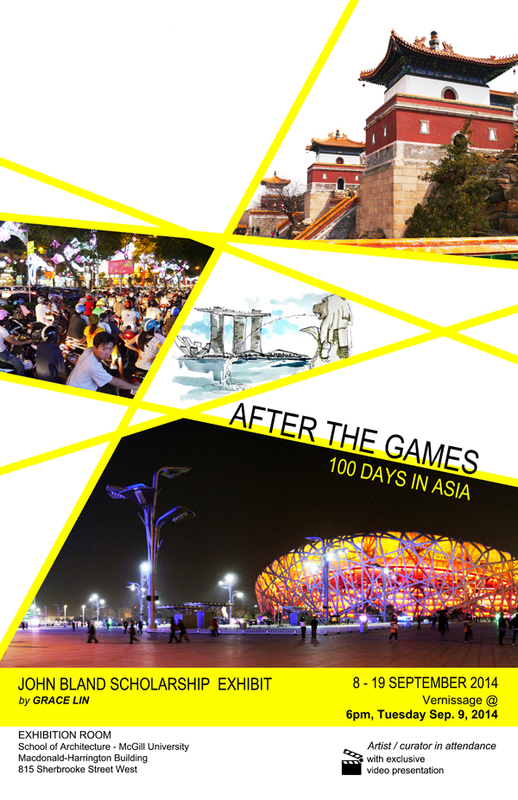 Focuses on the industrialized cities of China, especially the buildings and infrastructure associated with the 2008 Olympics and the 2010 international expo. Monday to Friday, 9:oo a.m. to 5:00 p.m. Vernissage: Tuesday 9 September at 6:00 p.m.